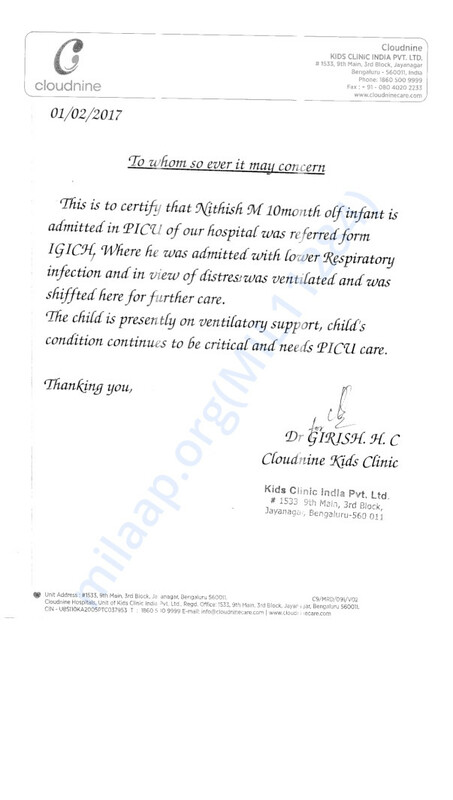 10-month-old baby Nitish is on ventilator. He needs help to survive. 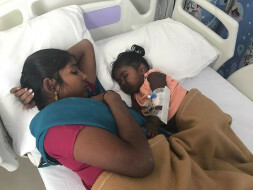 Nitish's parents Murali and Roja lost their first baby before birth, to a miscarriage. It was, indeed one of the saddest events of their lives. The couple's life brightened up once again, almost two years later with the birth of baby Nitish. Murali works as a welder in Bangalore. He does not have a workshop of his own and needs to go looking of work on most days. Thus, his income is not fixed, and he is able to make around 300 rupees a day on days when he is able to find work. Therefore Roja had been living in their home in Tamil Nadu for so long. After Nitish's birth and initial few months, they decided to live together in Bangalore, and though they knew the financial struggles that awaited them, the will to live together as a family overpowered all other fears. Roja moved to Bangalore with Nitish by the end of January. Soon after, the baby started having some breathing problems. The family did not have the means to consult a doctor right away for what they thought was a common cold, and hence consulted Roja's sister Gayathri who works as an NICU staff nurse at Cloudnine. Gayathri suspected this was way more serious than they thought. She got them a nebulizer and some temporary support that very night. Murgran did not have much money at that time, so Gayathri offered to help them with the immediate expenses. It turned out the baby was very sick and in a very delicate condition. 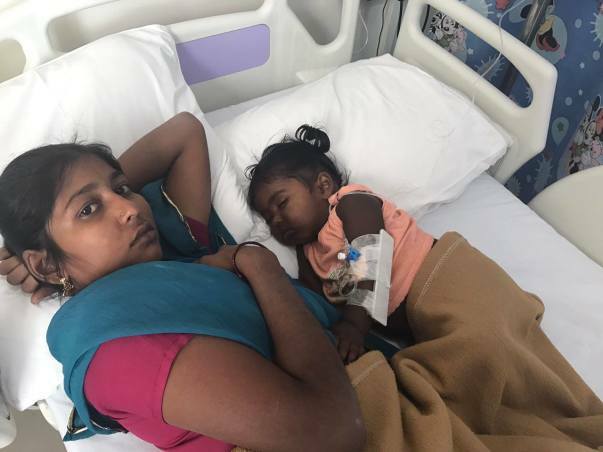 The baby was diagnosed with lower respiratory infection, and has been on ventilator support for the past few days.The family has already spent over 3 lakh on the baby's treatment. Recently Gayathri also got married for which she had to borrow around 2 lakh. She also earns close to Rs. 9000 a month. As of now, they have arranged for the rest of the money and are short of Rs. 80,000. The family has exhausted their networks and have no other way to save the 10 month baby. A little baby's life depends on your small act of kindness. Thank you so much for coming forward to help this little kid. Nitish is doing well and has been discharged from the hospital too. He would have to come for regular check-ups and has restarted nebulization after a mild cold on 24/02/2017. Mild wheezing is observed and he would have to continue medicines for another three months. 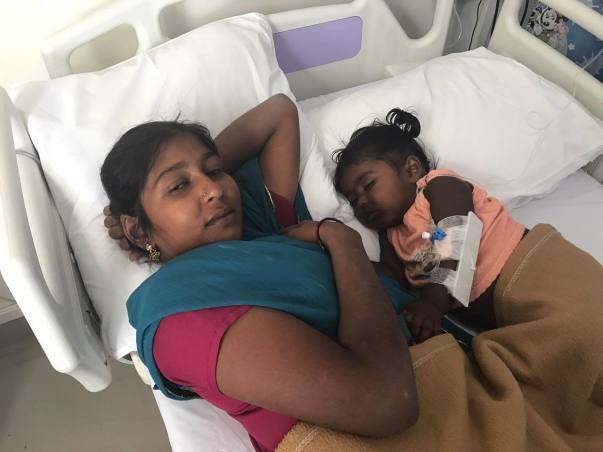 Roja and Nitish are currently staying in Maruti Nagar of Bangalore and Roja is overjoyed with the amount of help she has received from people all over the world. Thank you for making this happen. Please continue to pray for a speedy recovery. May God bless the baby. As long as we have people who donate there is no child who can die!